Pet Island is a management game that requires you to build your own pet hotel from scratch after it being destroyed by a villain. Build rooms for your pets, raise them and breed them to sell these pretty animals to your customers and make some cash. In Pet Island, you get to build separate rooms for each kind of animal by purchasing them through coins in the game. You can put these rooms anywhere in your hotel structure. 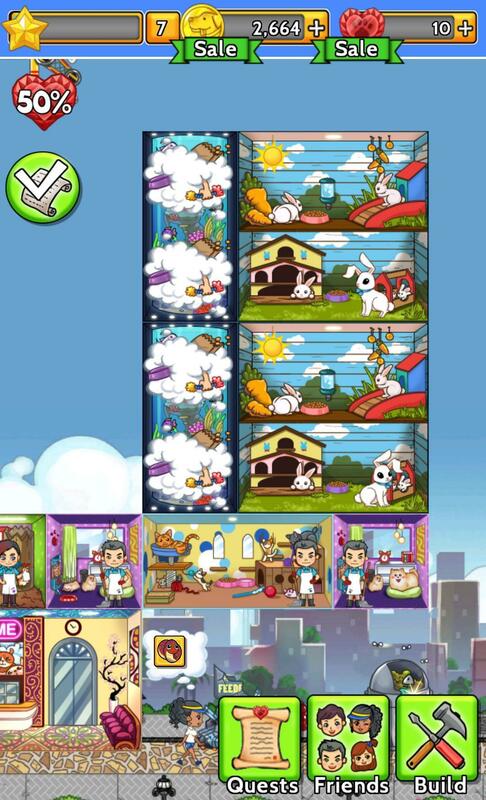 These rooms continuously generate pets that you will have to collect in order to automatically deliver them to your pet shop. From there, you can sell these pets to your customers and start earning money. However, these rooms take some time to be built which can be sped up using gems in the game. Pet Island introduces a huge variety of pets to build rooms for in your hotel. From reptiles like venomous snakes to cute birds like parrots, from mammals like cats and puppies to fishes like tuna, you have a huge variety of pets to sell to your customers. You can also unlock some rare pets and can also breed them to get more free pets for your shop. The prettier your shop is, the more the customers will get attracted to it. Purchase decorations for your hotel that include different and unique kinds of tiles for your wall, hair dresser rooms for grooming your pets, play grounds and much more. You can also upgrade these rooms to earn more in the game. 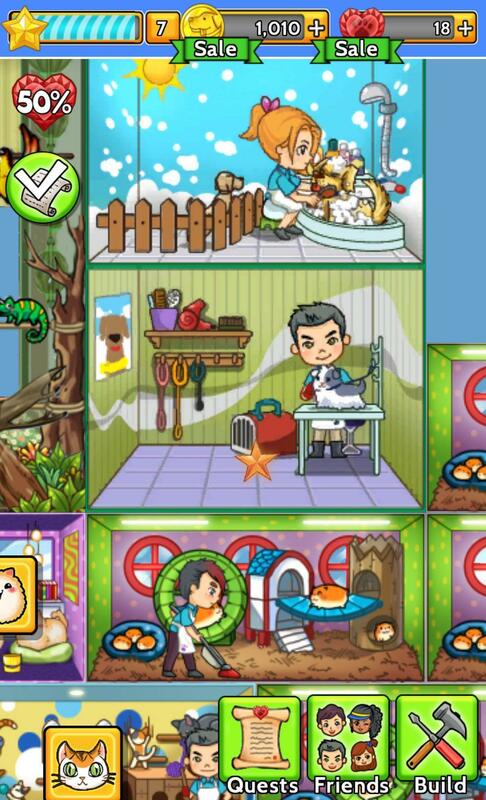 All these pet rooms and decorations cost some money to be built that you can earn through selling your pets. The more you sell, the more you will earn. Completing exciting quests can also win you coins as rewards. Pet Island includes bonus features as well. You can avail speed bonuses to speed up the building process. Moreover, a helper comes in every once in a while who can instantly build any rooms under construction in your hotel. The game gets better with your friends in it. Invite them and visit their pet islands for a change. Exchange gifts and rare animals that you cannot purchase from the in game shop. The more cash you will earn, the faster you will level up. Win pet certificates and unlock new ones as you level up during the game. Pet Island features some excellent graphics for a smartphone game. The interface is quite simple yet elegant and the pets are quite detailed with their cute expressions. Moreover, the background music and the sound effects bring these pets to life, making the game more enjoyable. You can also purchase coins and gems through real money from the in game store. Pet Island offers great discounts and offers for you to avail. 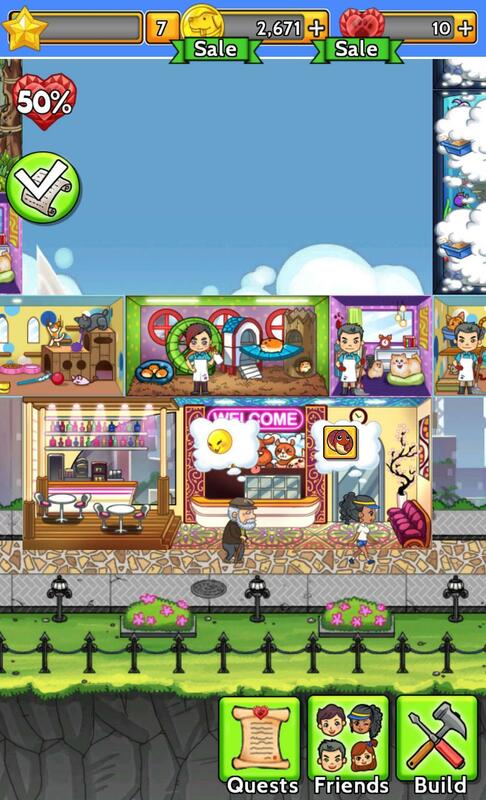 Manage your own pet store by building new pet rooms and selling pets to your customers to earn revenue. Build entertainment rooms for your pets and give them the perfect place to live. Unlock rare animals by inviting your friends and visit each other’s pet stores anytime you like. Try out Pet Island now.